I love how this swap turned out! 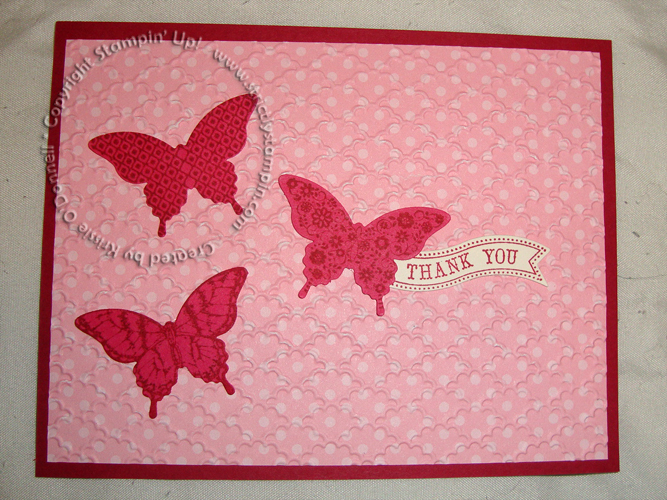 The embossing on the patterned paper really looks awesome in person and who couldn’t love a new butterfly punch with matching stamps? ← Convention Swap: Thanks Big Time!